A classic companion for professional hunters and game keepers. After the revolution in 1848, with the break-up of large estates, the improvement of hunting methods, and the introduction of firearms, dogs were needed after, not before the shot was made. 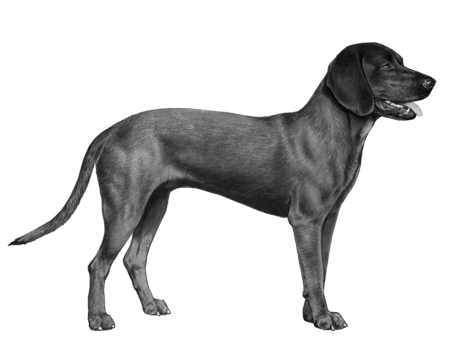 The Hanovarian Hound proved to be too heavy for long-distance tracking, so Baron Karg-Bebenburg Reichenhall bred the lighter, more streamlined Mountain Scenthounds with the Hanovarian Hounds to produce the Bavarian Mountain Hound that we know today. 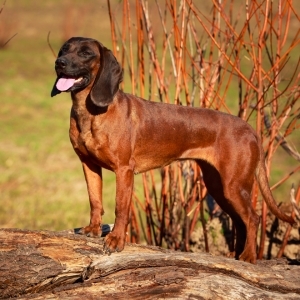 This breed is still a classic companion for professional hunters and game keepers. 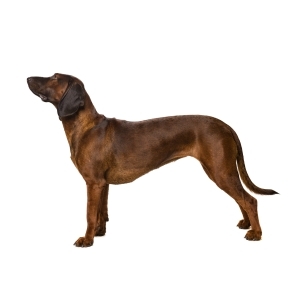 The Bavarian Mountain Hound is an agile, large-sized dog with a balanced, muscular build. 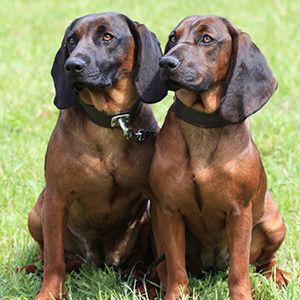 Their coat is dense and short, with a glossy look. 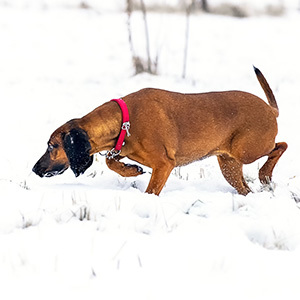 The coloring on these dogs is very distinct, covering the whole spectrum of red from deep to “deer red” and even a lighter tan in some instances, with a much darker color on the back and muzzle. 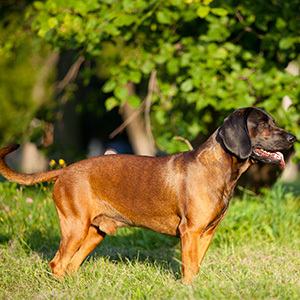 Calm and well-balanced, this breed is devoted to its owner, and can be reserved with strangers. 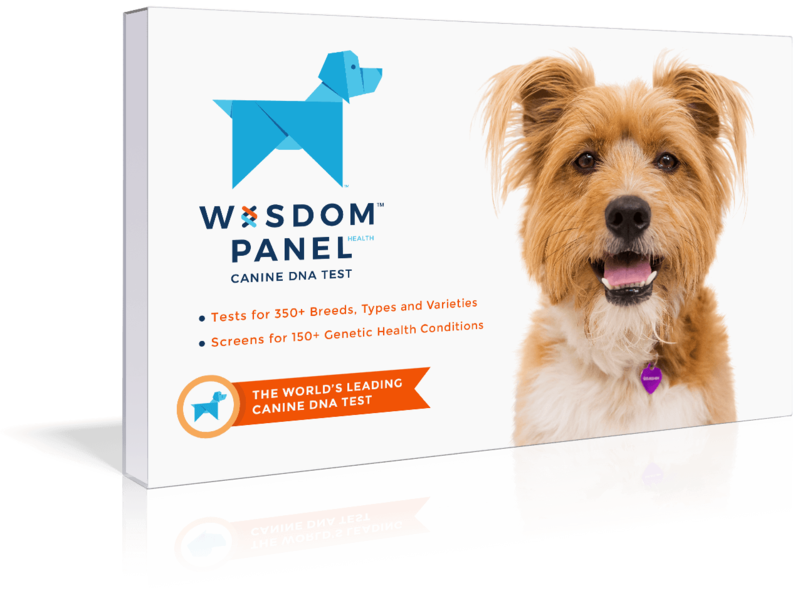 A more loyal companion will be hard to find.